The first Thursday of each month is a busy one. It is on this day that I go to an out-of-town rehabilitation center and lecture close to 100 men, in multiple classes, about the dangers of drugs, alcohol and the impact it has upon them and their families. My schedule necessitates that I have to leave early so this morning I decided to take my coffee with me. I prepared it with cream and sweetener, placed it in a cup with a top and sat it by the front door so I would remember to grab it when I picked up my bag. I’ve done this countless times before and never had a problem. However, today, after I got ready, picked up my bag, I opened the door and spilled the coffee everywhere. I ran and grabbed a few paper towels, cleaned up the mess and had about a 1/3 of a cup left over. I had the cup in one hand, the bag over my shoulder, the keys in my other hand. Locking the door I turned around and somehow, someway, caught my foot on a rug on the porch, twisted my ankle, and came crashing down on my left knee scraping it in several places. To top it off the rest of the coffee was now on the porch and stoop. In that moment, I sat the cup upright, left it on the porch and drove off. There are times in life where something we want, desire, crave just wasn’t meant to be ours. We may fight for it, jump through hoops, feel we’ve earned it but in the end, it wasn’t meant to be. How we react when we realize our quest is futile is key to acceptance and contentment. Do we let go and move on or do we continue to grab at what refuses to be grasped? Our little old farmhouse doesn’t have central heat and air. We hope to add it one day but there are several other home improvements we’d like to make before investing in a unit and duct work. During the summer we use window air conditioner units and in the winter we have a few space heaters plus a Kerosene heater for the main front rooms. It works well enough for now and does a good job keeping the cool at bay. Last night, after we finished sitting around the fire-pit for a while we came inside and I lit the Kerosene heater. I went into another room and it wasn’t long before Beth was yelling my name; “Brian! There’s smoke, lots of smoke, everywhere!” I came running into the living room and she was right, the heater was putting out black smoke which was filling the room. I quickly took the heater outside, we opened all the windows in the three rooms the smoke was residing and put fans in them to help draw out the unwanted ash cloud. It didn’t take long to clear and for our hearts to begin beating at a normal rhythm again. Though we like the Kerosene heater, the trick is getting the wick lit and the container which fits around and over it set just right. If you aren’t careful you can end up with rooms full of black smoke or worse. It was a good lesson in paying attention and making sure something which needed to be done specifically and correctly was done so. As the fans hummed drawing out the smoke and soot last night I thought about how careless we are in other areas of life. There are times when we don’t handle things rightly, correctly, carefully and making sure what we do doesn’t end up making a big mess. Wisdom, mindfulness, tells us to focus on what we are doing, presently, in the now. Lesson learned, again, yesterday. 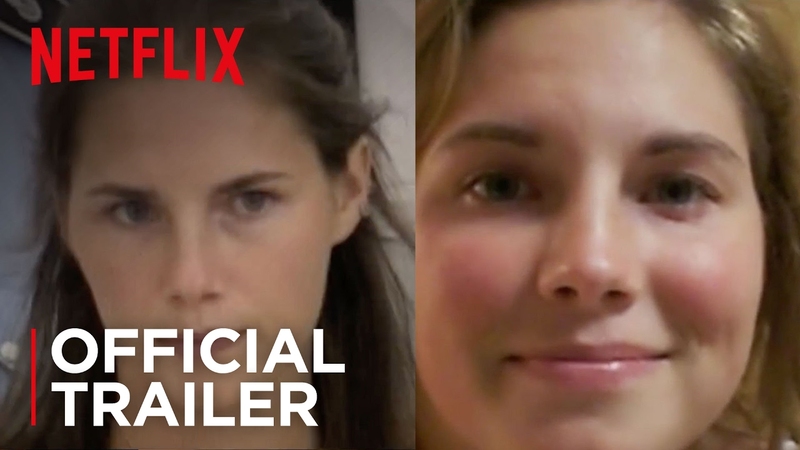 Netflix has an intriguing documentary on the crime, trial, and person of Amanda Knox; the young woman accused of murdering her roommate while living in Italy almost ten years ago. No spoilers but it is worth the watch whether you think her guilty or innocent. The trial was a media sensation. There were four of them and reporters for news agencies from around the world packed the small Italian villa to give those who cared every detail of the sordid story.